Join now and get a huge welcome bonus of up to $600! Full Tilt Poker Mobile has emerged as one of the best mobile poker sites and is certified to be safe and secure. Fully licensed and regulated. Licensed by the Isle of Man Gambling Supervision Commission Full Tilt also promotes responsible gambling and the software has been certified safe by Cigital and GLI. Fast, Reliable Withdrawals in just 1 day - many are done instantly. ? 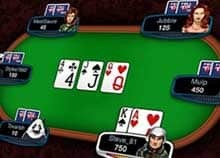 All legitimate, real-money poker sites like Full Tilt Poker Mobile have strict anti-fraud screens, and that may create a short withdrawal delay. Make your first deposit and Full Tilt Poker Mobile will match it 100% up to $600 to play poker, so deposit $100 and they'll give you $100 extra. You earn your bonus simply by making a deposit. ? Your first bonus may be used on up to 3 separate deposits! Please read the terms and conditions carefully. Full Tilt is back in a big way! If you are ready to go full speed ahead with one of the best mobile poker sites on the Internet, now is the perfect time to move your play up a notch with Full Tilt Mobile. If you own a smartphone or other mobile device and have yet to discover how handy and versatile it can be for playing your favorite games and tournaments on the go, what are you waiting for? If you're looking for the standard Full Tilt site (not mobile), click here to read our Full Tilt Poker review. But as with every other product, not all mobile apps for poker players are created equal. Full Tilt waited to release theirs until they were certain they met their own high standards and those of the discriminating players for whom the site is intended. Contrary to what you might think, you don't have to be a tech geek to get started. Even if you are new to mobile phone play, or relatively new to poker itself, you should not be intimidated. The instructions for downloading the apps are very clear, and as long as your equipment is compatible, you will be ready to play in almost no time. 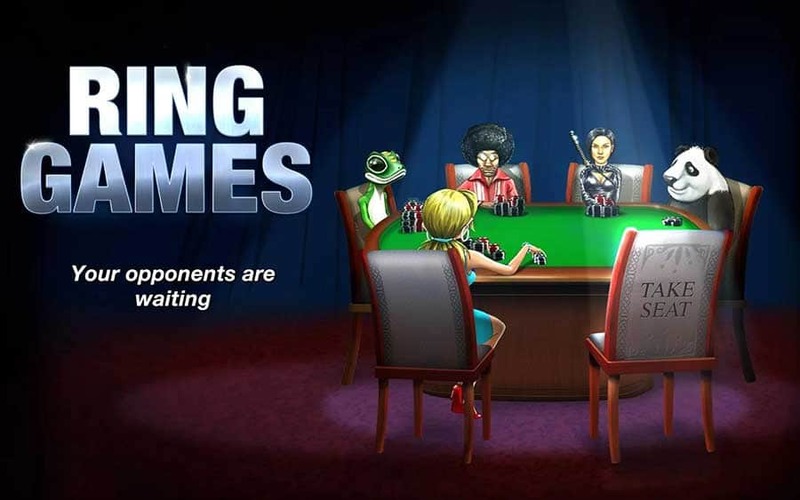 Another great feature about Full Tilt Poker mobile is that with this site, the problem mobile players frequently encounter elsewhere of only being offered a very limited selection of games won't come up. Full Tilt mobile real money customers are part of the same player pool and get to play the same games and tournaments as those who are playing Full Tilt Poker online on the computer. In fact, the person seated next to you at your virtual table could indeed be playing on his or her computer. You won’t be able to multi-table different games simultaneously, like the computer player can, but otherwise, you have access to the same games, bonuses, and other rewards. You also get to enjoy the big plus of not being tied down to your home computer or foregoing a potentially lucrative cash game or tournament just because you are on the move. 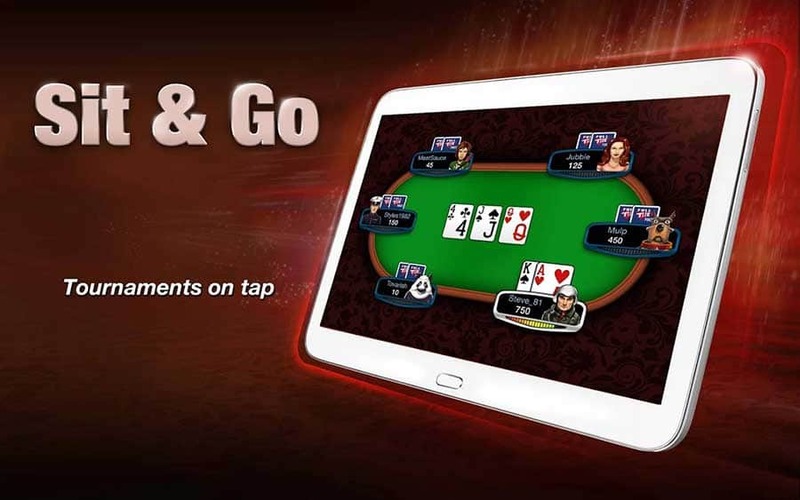 You can play Full Tilt Poker wherever you happen to be and conveniently switch back and forth between your phone or tablet and your computer according to your own personal schedule and location. If you have been playing online poker for a while, the fascinating story of the ups and downs of Full Tilt Poker, are probably already familiar to you. For those of you who are unaware of the high profile site's colorful history, here is a brief recap. Between 2004 and 2011, Full Tilt was one of the top online poker rooms in the world. However, all that came to a crashing halt when the site was abruptly shut down by the U.S. Government on April 15, 2011, the day that will be forever known in the poker world as "Black Friday." Then, in 2012, the U.S. Department of Justice agreed to allow PokerStars.com, the world's leading poker site, to purchase Full Tilt's assets and pay the former Full Tilt players who were owed money. By November, 2012, Full Tilt Poker was up and running again. Today recreational and professional players alike give the site an enthusiastic thumbs up. Unfortunately, Full Tilt Poker, like its parent company, PokerStars, still does not permit anyone from the U.S. to play. However, with more than 25,000 players logged on at a time and more than 9,000 people simultaneously playing in cash games during peak periods, Full Tilt Poker site continues to grow and shows no signs of slowing down. The future of this site looks very secure and solid. They've even recently added a Full Tilt Casino! 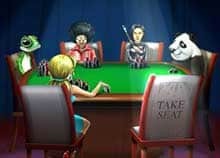 Anyone concerned about any irregularity that might have led to the site's closure in 2011 will be reassured that the people who held decision making positions at Full Tilt Poker then are no longer working for the site. All aspects of the operation are 100% on the up and up so you can log on and play any game being offered with the confidence that your money is protected and you will be treated fairly. Full Tilt Poker is licensed and regulated by the Isle of Man Gambling Supervision Commission and the Malta Lotteries and Gambling Authority. All of the games have been certified for fairness. In addition, Full Tilt Poker and Full Tilt Casino (the latter launched in January, 2014) are now owned and operated by the Rational Group, which took over the company in mid-2012. The Rational Group, which also oversees PokerStars, the European Poker Tour, and the PokerStars Caribbean Adventure, is committed to ensuring a safe playing environment. The site has zero tolerance for collusion. The use of digital encryption ensures the safety and privacy of all of your personal information and financial transactions. Playing mobile poker Full Tilt style has gotten more convenient than ever. You can now play your favorite cash games and tournaments anytime anywhere on your mobile phone. If you own an iPhone, iPad*, iPod Touch, or Android, Full Tilt has a compatible app available for downloading. *The iOS app from Apple will work but is not optimized for iPad devices. You may encounter problems. If you need to update your iOS, you can connect your device to your PC and simply update via iTunes. The app for Android devices is available by visiting www.fulltilt.com on your mobile device. In addition, if you would like to play Rush Poker, a very fast version of the game exclusive to Full Tilt Poker, in which every time you fold you change tables, Full Tilt now has an app for that game for iOS devices only. You won't be able to play Rush Poker on Android devices. Downloading and using the Full Tilt apps are free. However, your mobile operator may charge you for data consumed. Also note that you will need a data plan or Internet Wi-Fi connection on your mobile device. The Full Tilt apps work with a Wi-Fi, 3G or 4G connection. However, Wi-Fi is preferable since the connection is much more stable. You should contact your mobile network provider directly if you have any questions. If you have any problems connecting to and using the Full Tilt app for your mobile device, contact support@fulltilt.com for assistance. If you already have an account with Full Tilt Poker, the same account should be used with your mobile device that you use on the computer. Otherwise, if you are a new player, you can create an account either on the computer or directly from the app, whichever you prefer. You can play the Full Tilt games on your mobile device for real money as long as you are in a permitted jurisdiction. Otherwise, you can use play money anywhere. One minor disadvantage to using your smartphone or other mobile device rather than your computer to play is that you can only play one game at a time. You won't be able to multi-table. Otherwise, all of the games that are available on the computer based software are available to you for mobile play. You will also be facing the same player pool. You cannot be logged onto Full Tilt Poker on your phone or tablet and your computer at the same time. But you can readily switch from one to the other. Full Tilt Poker offers many special features beyond what you will find with most of the poker apps being offered by the competition. Here are some of them. Signing up as a new mobile player with Full Tilt Poker entitles you to the same generous Welcome Bonus that computer players get when they first register, a 100% match of your first deposit up to $600. If you prefer, you can spread out your deposit into three separate ones and still get the full $600 bonus, as long as you do so within the first 60 days. Of course, you are always free to deposit less money and take a smaller bonus. The bonus clears at the rate of $1 for every 25 Full Tilt Points (FTP) earned. Players earn 10 points for each $1 contributed to the rake in a ring game or paid in sit and go or scheduled tournament fees. Players can also earn 1 point for each $2 Jackpot Sit and Go tournament buy-in for $2, $5, or $10, or 20 points for a $50 buy-in Jackpot Sit and Go. Cash gets released from pending status into your account in increments of 10% of your initial deposit, or $20 at a time, whichever amount is smaller. Mobile players at Full Tilt Poker can choose from a variety of fast and secure banking options. You can do your banking either on the mobile app or from your computer, as you choose. However, you have a wider range of options available to you banking from your computer. There may be additional banking methods available to you besides those listed in this mobile poker review. Any questions relating to banking should be addressed to Customer Support. Unfortunately, the only method of contact is via email so you will not get an immediate answer. If you have a PokerStars account, you will appreciate the convenience of being able to transfer money back and forth between Full Tilt and PokerStars. The heart of any site is its games, and once you see the astounding array of choices being offered on this site, you will feel like a kid in a candy store. If you can't find the poker game you want at FullTilt.com, it probably doesn't exist. The usual complaint from online poker players, those using mobile devices especially, is the lack of variety. All players see is hold ‘em and more hold ‘em. Players also complain about there not being enough range in limits and how few tournaments there are. At Full Tilt Poker, both mobile and regular players will find both ring games and tournaments galore, non-stop 24/7 action in every major variety and then some, at stakes ranging from zero (play money) and micro to hundreds of dollars. Don't worry either about not finding the game you want to play at an off hour because there are not enough other players. With the amount of traffic this site has, that is highly unlikely. There are also numerous freerolls and cheap satellites whereby you can win tickets to more expensive tournaments. If you run into any problem at all here, it will be trying to decide what to play because you can't possibly play everything. You might think that at a site as populated with players as Full Tilt you would have your pick of fish, but that assumption is incorrect. Only at the lowest playing stakes will you find large numbers of easy to beat players. As you move up in level, the competition gets increasingly tough and the waters increasingly shark infested. If you are just learning the game, you might even find the 1-2 no limit games too intimidating. Hold ‘em and pot limit Omaha games start at .01/.02 and go all the way up to $400/800. Omaha High-Low starts at .01-.02 and goes all the way up to $2,000/4,000. 7 Card Stud can be played for as little as .05/.10 or as much as $1,000/2,000. Another option is to play Rush Poker, which like the more traditional poker games, is offered in both real money and play money versions. Other sites have games similar to Rush Poker, but this exact format is unique to Full Tilt Poker. Every time you fold, you move to a new table with different players. There is also a variation of the game called Adrenaline Rush Poker, a 4-handed ring game where all betting takes place pre-flop and all action is raising or folding. With Rush Poker, while the stakes are low, you play 4x as many hands as in regular poker. Apple has an app you can use on your IOS device (iPhone, iPad, or iPod Touch) if you want to experience the "rush." Rush Poker cannot be played on Android devices. As with the ring games on this site, the tournament action is non-stop. You can take your pick from a wide range of formats and buy-ins, and many of the tournaments are actually quite affordable. There are also lots of freerolls and qualifying satellites if you would like to take a shot at possibly winning a ticket for a more expensive tournament. All of the tournaments now offer guaranteed prize pools. Here are some that you might consider. $50K First Deposit Freeroll: Upon making your first deposit, you receive 10 free entries into the Sunday $5,000 First Deposit Freerolls, taking place every Sunday at 6:00 ET and 14:30 ET. You also receive a $2.25 tournament ticket you can use on any tournament with a $2.25 buy-in. "New to the Game" Daily Freerolls: These freerolls (for eligible players only) take place 4x a day with $50 up for grabs each time. The tournaments with ring game tickets as the prize are super turbo, while the tournaments with tournament tickets as the prize are turbo. Although the "New to the Game" tables are supposedly designed to allow slower play for beginners, the turbo format makes these events fast play tournaments. Eligibility to play at the New to the Game tables and these tournaments is based on previous play not exceeding the specified maximum amount. Weekly Freerolls: Weekly No Limit Hold ‘Em Freerolls take place every Sunday at 10:45 ET and 18:45 ET with $250 in tickets up for grabs in each freeroll. Access is limited to the top 200 finishers in each of 200 daily freeroll qualifiers. Like the daily freerolls, the weekly freerolls are either Turbo (playing for New to the Game Tournament tickets) or Super Turbo (playing for New to the Game ring game tickets). Friday Night Fights: This is a $15,000 guaranteed prize money and knockout bounty tournament combined. The $129 buy-in fee includes a $20 bounty, which you collect on each player you eliminate. Alternatively, you can qualify by satellite for as little as $5.50. Sunday Brawl: This tournament gets underway at 11 a.m. ET every Sunday. This is a bounty tournament. $100,000 in guaranteed prize money is waiting to be won, including $40 for each player you knock out of the tournament. The cost to enter is $255. Many players find the brawl a great warm up for the afternoon Sunday Major. Big Money Sundays: Every Sunday at 13:30 ET $150,000 or more is up for grabs in guaranteed prizes. The buy-in is $215 or you can qualify via satellite for much less. The starting stack is 6,000, with an opportunity to rebuy during the late registration period. Double Deuce Tournaments: These $50,000 guaranteed prize pool tournaments at 12:33 ET Sunday only cost $22 to enter (or enter for just .11 or 25 FTP). Supersized Sunday: If you're craving bigger action, try the $75,000 guaranteed Sunday tournament at 14.00 ET. The buy-in is also supersized, $635. Half-Turbo: This is a multi-day tournament with a turbo structure for day 1 and regular structure for surviving players for day 2. See the website for starting times and other details. Big-Little Tournament: With the cost for this $15,000 guaranteed multi-day tournament a mere $2.20, this is your golden opportunity to turn a small buy-in into a big payday. There are numerous opportunities to play in day 1 all week long, and for more chances to win, you can enter day 1 multiple times, up to 4 entries at a time. If you advance, day 2 takes place the following Sunday. See the website for details. Multiple Entry 1 Up Tournaments: Players have the chance to enter up to 4x in each tournament. If you finish in the money for more than one entry, you also win bonus tickets to future tournaments. You can also merge entries before the final table to increase your chip stack. See the website for details. Avatar Tournaments: There are 28 weekly tournaments with buy-ins ranging from $3 + .30 to $150 + .12 (or qualify by satellite) in which you can win an avatar on top of a money prize. 100 Points Tournaments: The 100 Points Tournaments, which take place Sundays at 9:45 and 17:45 ET, are called that because they cost 100 FTP to enter (or as little as 5 points if you qualify via satellite. The prizes up for grabs are not cash but either tournament dollars or ring game tickets. Jackpot Sit and Go Tournaments: The Jackpot Sit and Go Tournaments have a buy-in of $1, $5, or $10. They are Super Turbo format playing against only 2 opponents. The amount you can win (randomly determined) ranges from 2x to 20,000x the buy-in. The vast majority of the tournaments are for 2x the buy-in and winner takes all. The tournaments are lightning fast, lasting only about 7 minutes. Flipout Tournaments: This is another new addition to the tournament menu. Each tournament starts with a shootout round in which every hand is all-in and one player per table advances to the next round. All players who reach the second round are reseated at new tables, but they are all in the money. The tournament then reverts to standard structure. Every time you contribute to the rake in a cash game or pay a tournament entry fee, you earn Full Tilt Points (FTP). These can be used to buy tickets for more ring games and tournaments or make purchases in the Full Tilt Store. The site also has a 6 tiered loyalty program called Edge Rewards. The six levels, based on number of FTP, are Bronze, Silver, Gold, Platinum, Diamond, and Black Card. Everyone at Bronze level or higher can take part in daily freerolls open only to Edge status holders. Bronze level players are eligible for two additional exclusive freerolls just for them. All of these freerolls have either tournament dollars or ring game tickets as prizes. In addition, players at the Silver level and higher receive weekly cashback. The higher your status, the bigger will be your reward. Players who achieve a rolling day average of 500 FTP or higher qualify for exclusive Black Card status and receive extra benefits like the ability to convert points directly to cash and compete for a 4 month sponsorship contract. As if the enormous amount of round the clock game activity doesn't provide enough action and excitement, as a Full Tilt Poker player, there is no end to the exciting promotions you can take part in, too. Here are some of these "Exciting Extras." Happy Hour: Players have the opportunity to earn double or triple points playing designated games at designated times every day. You can also earn double points anytime playing in a qualifying shorthanded game. Early Bird: If you are one of the first players to sign up for a sit and go, you earn double FTP. Game of the Week: Each week a different game is designated the "Game of the Week." All ring games, sit and gos, and tournaments featuring that game earn double the usual number of points. In addition, various guaranteed tournaments in the Game of the Week will take place, including an $8,000 guaranteed Big Game of the Week Tournament on Sunday at 14.30. The buy-in for the Big Game of the Week is $100 + 9, or players can qualify via satellite. Monthly Edge Leaderboards: You can compete against others at your status level playing the same game for leaderboard bragging rights along with status upgrades for the top 25 and cash prizes ($500, $300, or $200) for the top 3. Major Events: Be sure to check the website for opportunities throughout the year to possibly win a seat at a world class event, such as the WSOP or WSOP Europe. Join Full Tilt Poker Mobile today and double your deposit up to $600!